That was not the outcome that the vast majority inside the O2 Arena had hoped for. 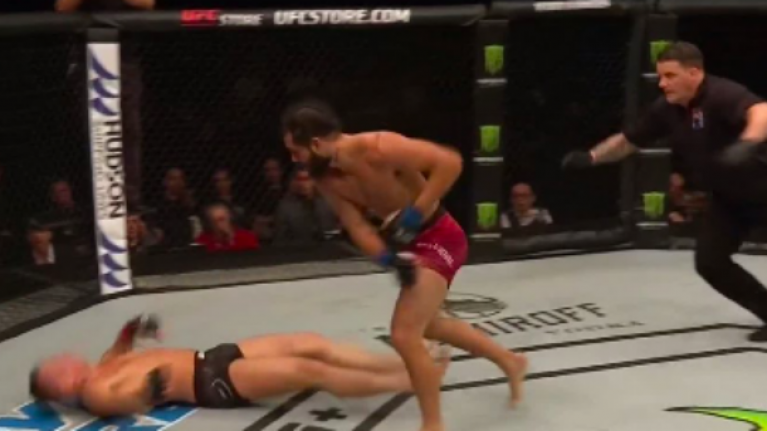 Jorge Masvidal silenced the crowd on Saturday night with a devastating knockout victory over Darren Till. Liverpool's Till enjoyed some early success against 'Gamebred', flooring Masvidal in the opening frame of the welterweight clash. But Masvidal is made of stern stuff and he rallied admirably, finding his range and settling into his striking as the second round arrived. A left hand over the top landed flush on Till and Masvidal was soon pounding his chest in celebration while the cage-side doctor rushed in to check on the Scouser, who was unbeaten as a professional before coming unstuck in his first crack at the 170lbs title last September. Till's head bounced sickeningly off the mat but, thankfully, he was soon sat up and offering his congratulations to Masvidal. It remains to be seen what's next for Till, who has hinted in the past at moving up to middleweight and it might well be the best thing for his career. Masvidal, meanwhile, must be knocking on the door of a title shot at 170lbs having put the man once dubbed 'The Future' by UFC President Dana White to sleep in front of his own fans.